Following yesterday’s post of an Amigurumi Emperor Penguin for Mum I couldn’t leave me Dad out, who finds meerkats very entertaining, so before Christmas I had the brilliant idea to quickly whip him up an Amigurumi version. This is what I achieved. 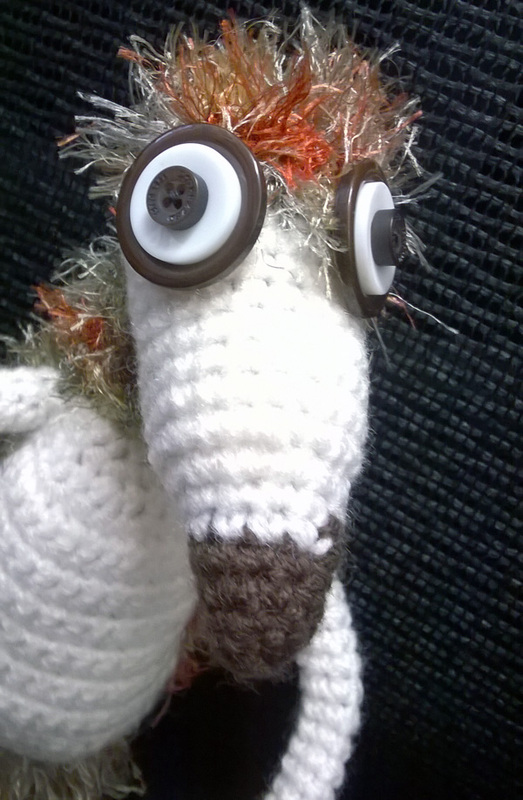 I found a wonderful pattern on the internet (www://littlegreen.typepad.com) to make it easier and quicker and changed a few things including one of the wools as I had some eyelash wool in a relatively meerkat colour (with a few highlights) which I thought would work. I used buttons for the eyes and layered 3 sizes together. 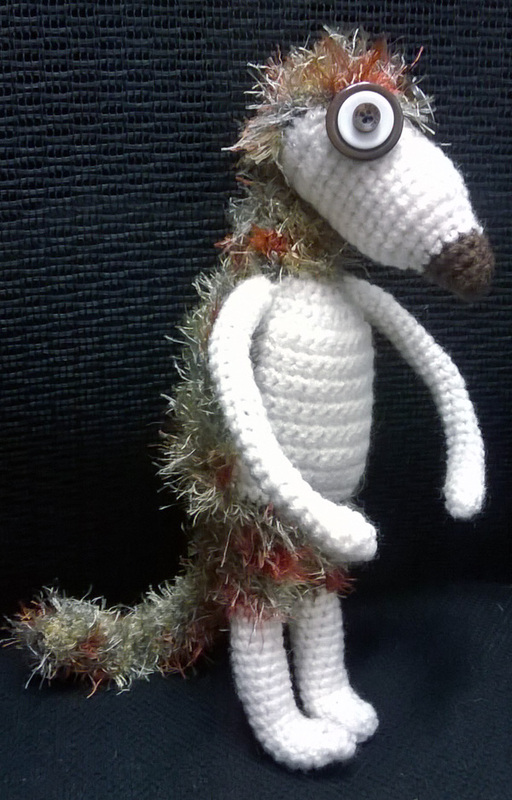 This entry was posted in Amigurumi and tagged Amigurumi, meerkat on December 27, 2014 by blackflowercreative. 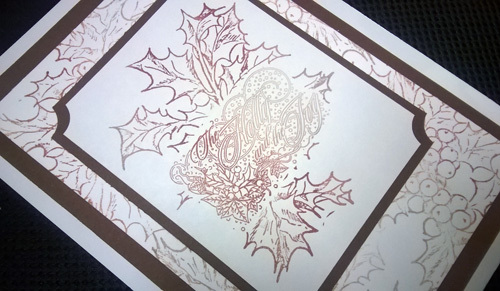 I hope you all have a wonderful Christmas. Countdown now to the New Year. 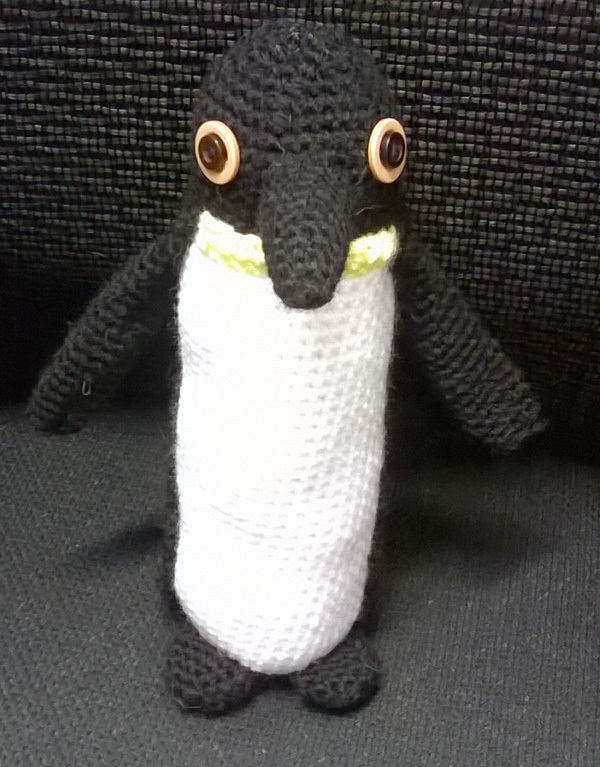 I would love to share today a gift I made for my Mum who absolutely adores penguins and as she has seen a few of the things I have made recently, she (not so subtly) requested a penguin. I of course had this already planned so made excuses that I didn’t have time … sorry! 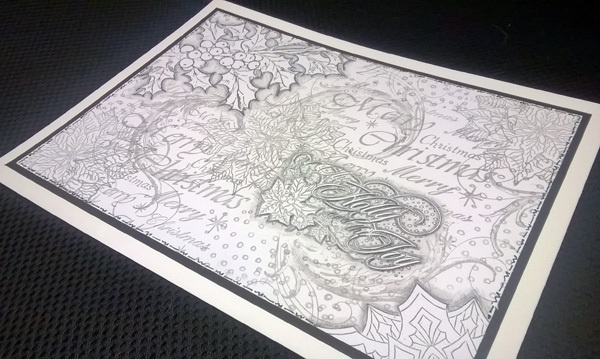 So I was thrilled to deliver this to her Christmas morning…. 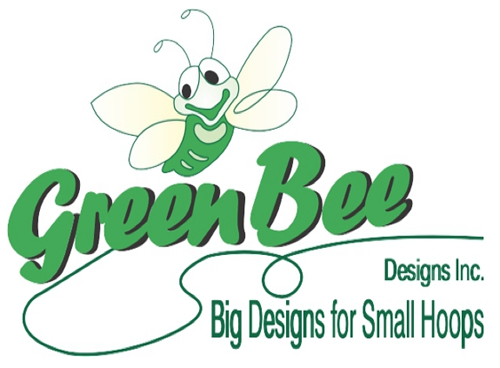 Like everything, having made it I can see how I could have done it better (had I more time), however, I am pretty happy with it. 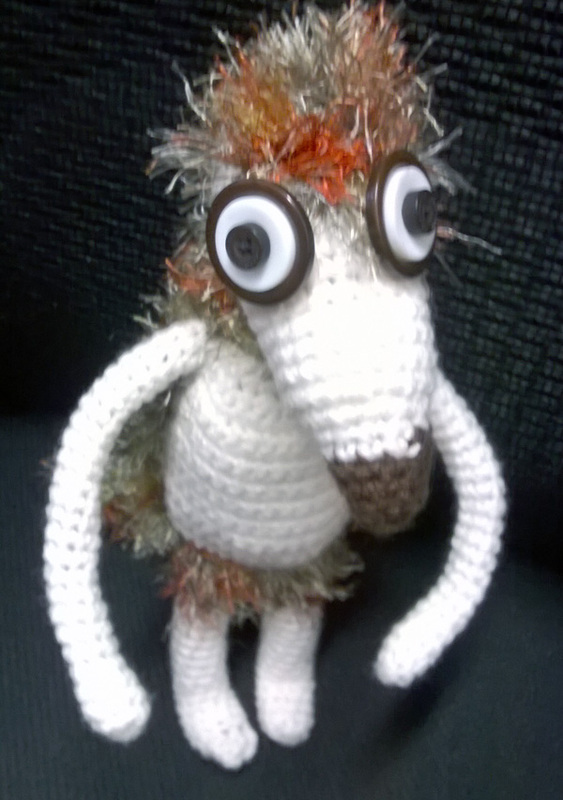 Please visit again tomorrow for more Amigurumi. 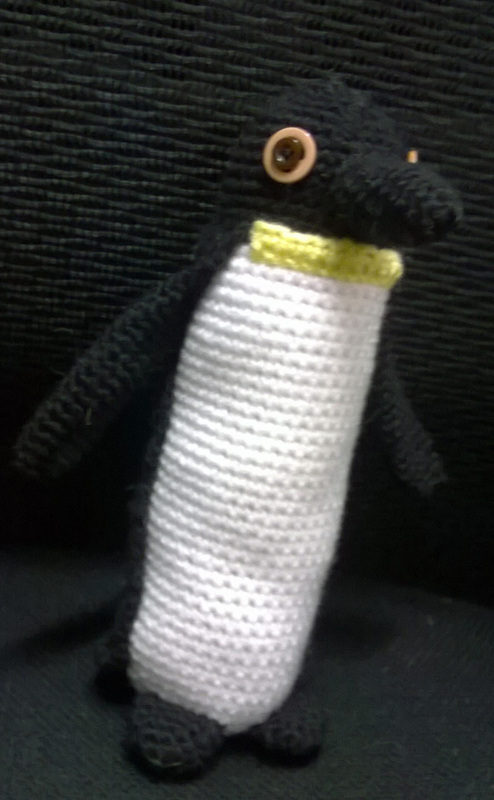 This entry was posted in Amigurumi and tagged penguin, toys on December 26, 2014 by blackflowercreative. 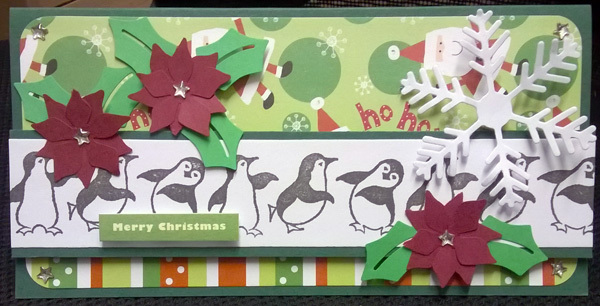 Today I would love to share the card I made for my Mum & Dad; my Mum being a huge penguin fan, so it has to be something with a penguin on. 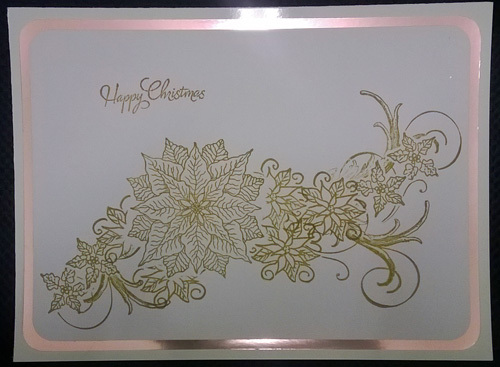 This card I made using a very lovely stamp from Hobby Art. 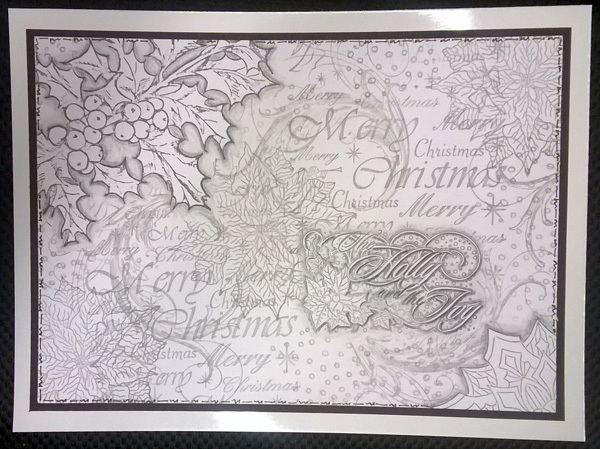 This is my last post now until after Christmas, so may I wish everyone an absolutely wonderful Christmas. Enjoy everyone! 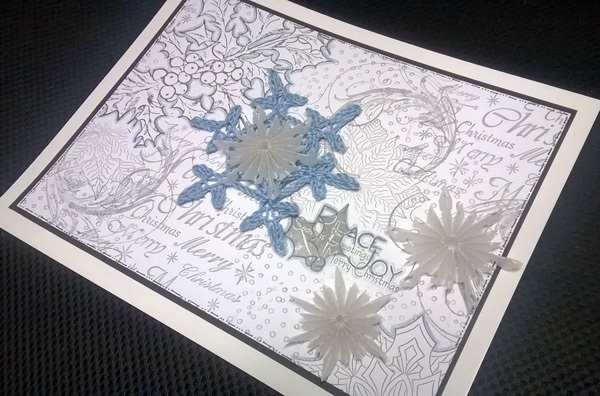 This entry was posted in Cards and tagged Hobby Art stamps, stamping on December 24, 2014 by blackflowercreative. 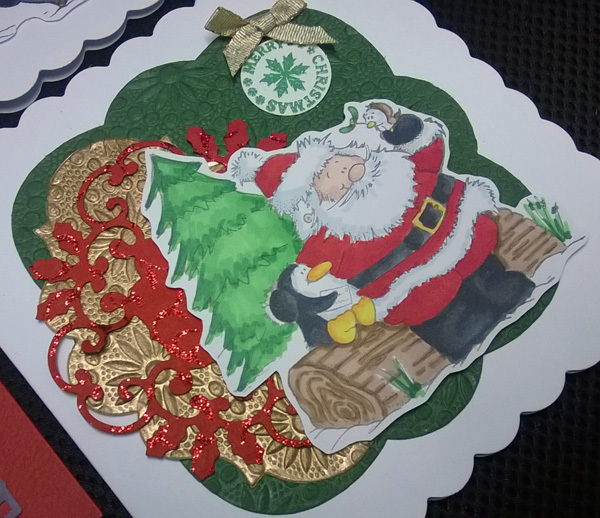 Today I have the last of the cards I made using leftovers with my coloured stamped toppers. Only 2 more sleeps until Christmas, I hope everyone is getting excited. 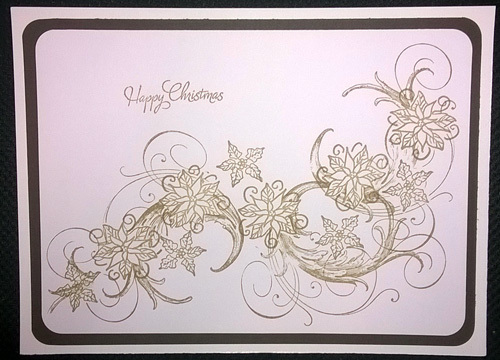 This entry was posted in Cards and tagged alcohol pen, Coloured toppers, stamping on December 23, 2014 by blackflowercreative. 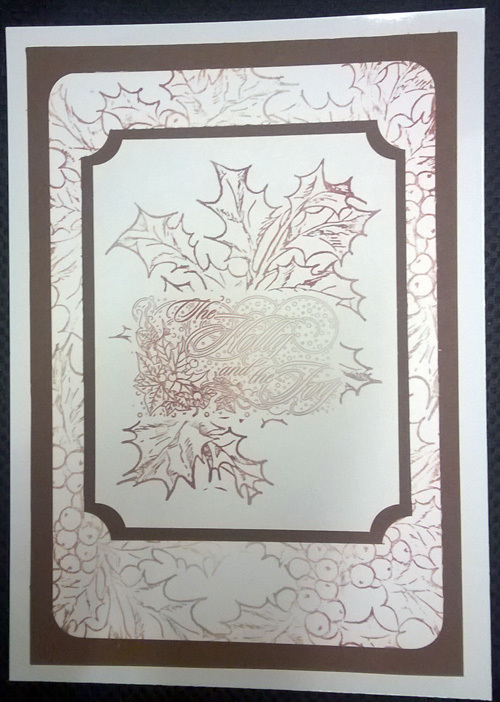 Another quick card today, using a holly branch and a lovely “The Holly & The Ivy” stamp from Hobby Art stamped using various shades of brown. 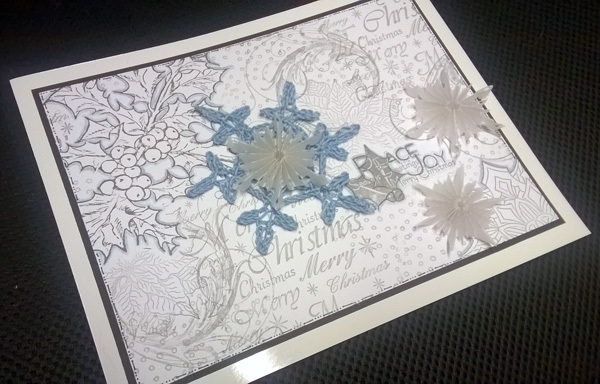 This entry was posted in Cards on December 22, 2014 by blackflowercreative. 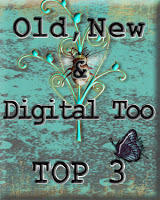 I’m back today with a trio of cards all collage stamped in a flourish using a medley of stamps. 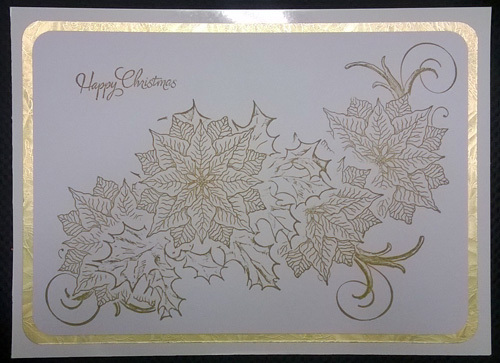 This entry was posted in Cards on December 21, 2014 by blackflowercreative. 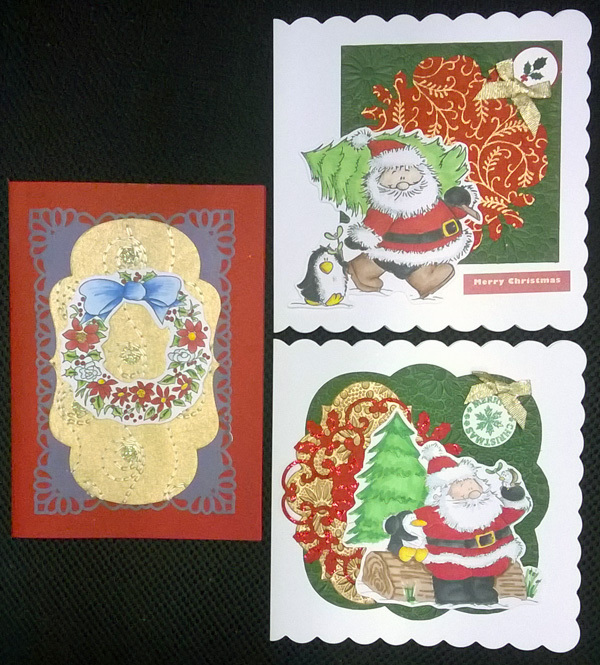 I have 2 cards today which I have created using a medley of stamps. 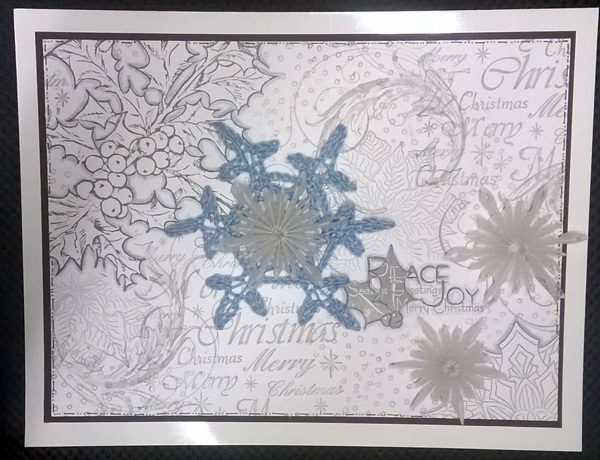 I love collage stamping backgrounds but hate to cover them up to much. So I didn’t. 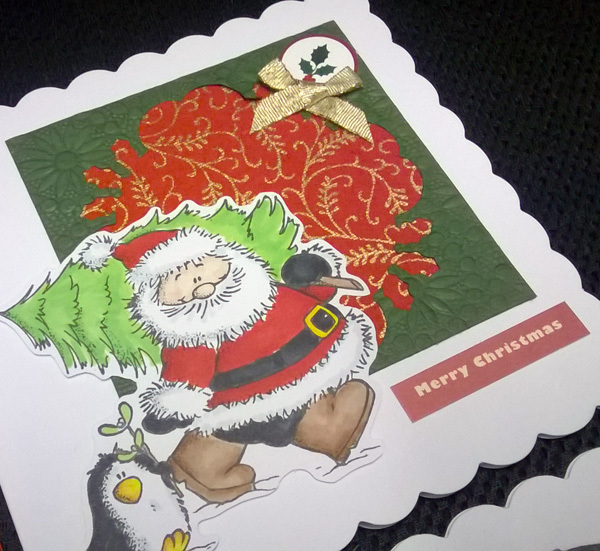 This entry was posted in Cards on December 19, 2014 by blackflowercreative.